For normal hair. 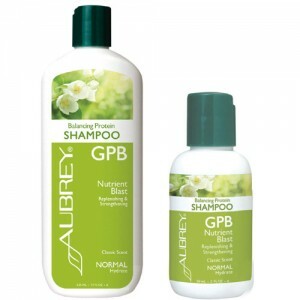 Aubrey's Best seller for over 45 years! Replenishes & Strengthens with a blast of nutrients & 2 kinds of protein for your hair. Strengthens hair fibre and restores softness, manageability and shine. 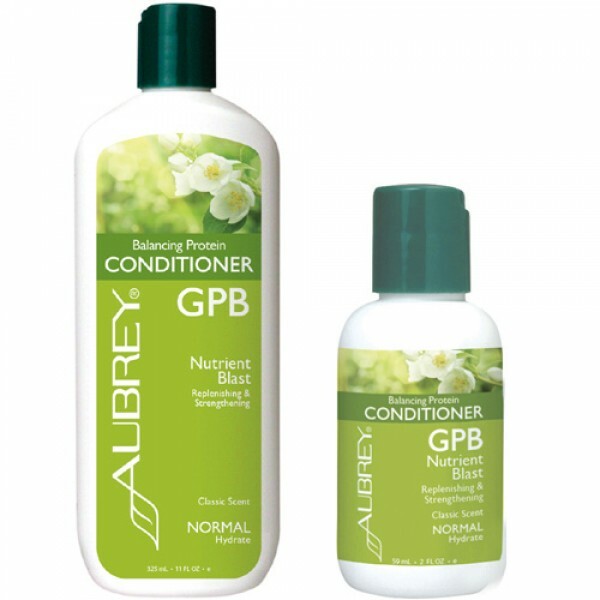 Protein-enriched paraben free conditioner with classic scent. Why use something synthetic when something natural works so much better? This simple idea has been the cornerstone of Aubrey Organics since the beginning in 1967. Aqua, Cetyl Alcohol (From Coconut), Alcohol Denat. (38B, Lavender*), Aloe Barbadensis Leaf Juice*, Triticum Vulgare (Wheat) Germ Oil, Fragrance ‡‡, Glycerin, Milk Protein, Brassica Campestris / Aleurites Fordi Oil Copolymer, Citrus Grandis (Grapefruit) Extract, Salvia Officinalis (Sage) Oil*, Ascorbic Acid (Vitamin C), Glycine Soja Oil ‡, Rosmarinus Officinalis (Rosemary) Leaf Oil*, Ricinus Communis (Castor) Oil, Tocopherol (Vitamin E), Glycoprotein, Beta-Carotene ‡, Daucus Carota Sativa (Carrot) Root Extract ‡, Equisetum Hyemale (Horsetail) Extract, Tussilago Farfara (Coltsfoot) Leaf Extract, Urtica Dioica (Nettle) Extract*. After shampooing, apply to damp hair and work through, concentrating on the ends. Leave on for 1 to 2 minutes. Rinse.